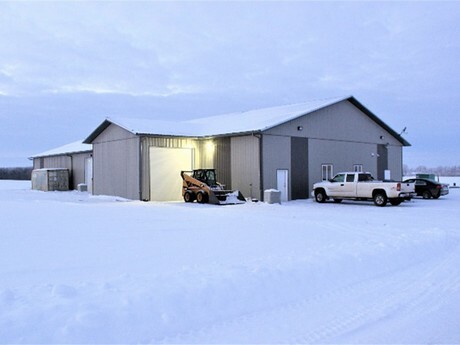 "Fresh lettuce even with snow on the ground"
CubicFarms has completed its latest CubicFarm System near Edmonton, Alberta. 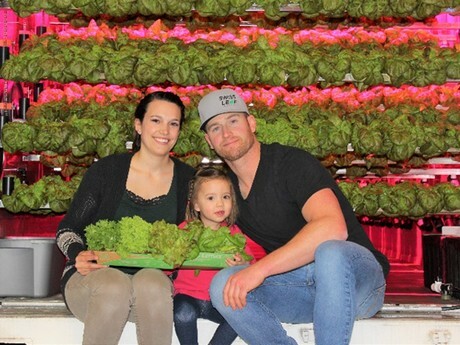 Located in Weslock, AB, Swiss Leaf Farms founder and CEO David Pfaeffli is now selling his CubicFarms produce under the Thriiv Local Garden brand to a variety of stores and restaurants. 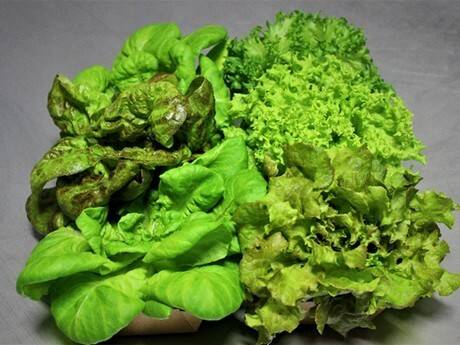 Swiss Leaf Farm’s 14 machine CubicFarm System is capable of growing over a million and a half heads of lettuce a year, along with microgreens, basil and more. Even though snow is on the ground, and temperatures are dipping below -20 oC, fresh, crisp, local lettuce and microgreens are now available. Ontario CubicFarm customer Del Fresco Pure has completed their building, and 14 CubicFarm growing machines have been delivered to one of Ontario’s largest greenhouse operators. 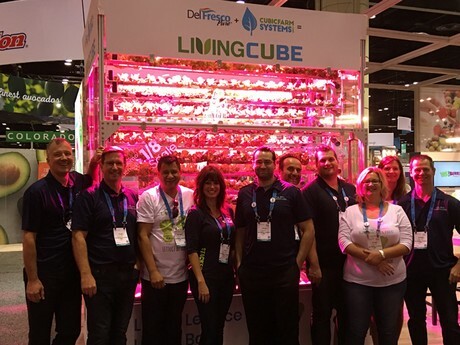 Del Fresco and CubicFarms are partnering together on several exciting projects and were recently together at the CPMA in Orlando where they featured a fully functional “Demo CubicFarm” complete with live produce. Passers by were memorized by the lettuce, basil, and microgreens growing before their eyes. The booth featured Del Fresco’s wide range of greenhouse crops, including strawberries. The ice cream machine was a hit and we featured Del Fresco strawberries and Cubic’s “Microbasil” as toppings. Del Fresco expects to bring their CubicFarms grown produce to the Ontario market in the next 2 months, including lettuces and microgreens. CubicFarms was approximately 40% owned by Bevo Farms, but in late 2018 that ownership was spun out as a one-time special dividend to shareholders. CubicFarms expects to be listed as a publicly traded company in the next month or so, making it one of the first publicly traded vertical farming companies.